Anyway, you will have fun with this site here where you can generate your own Church sign (multiple choice of church display including Church of Scientology or Baptist Church). 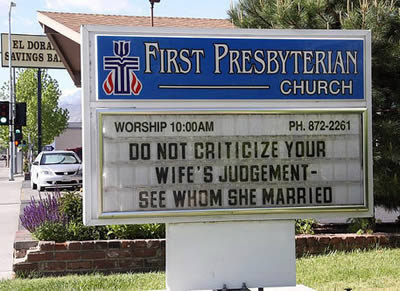 Let's have a contest and I'll publish the best "customized" Church signs ...! 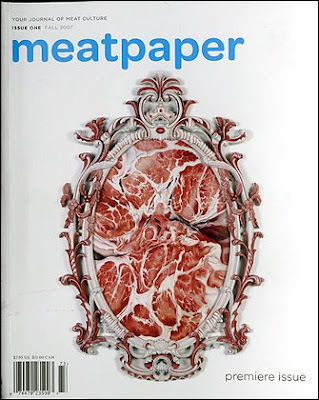 Sasha Wizansky, a graphic designer and Amy Standen, a reporter, are the talentuous creator of Meatpaper a print magazine about meat. Well, not the typical magazine about recipe or restaurants reviews but a review focused on ideas and art around the meat culture. As they write, they like metaphors more than marinating tips... It speaks about the symbolism, the rituals and what the meat says and delivers about our culture through its representation. 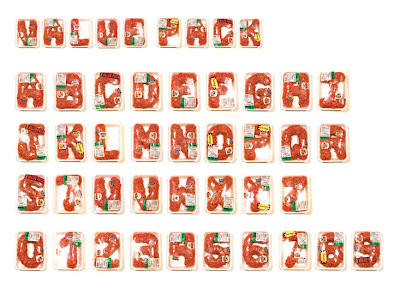 Meatpaper is also interesting in the way it illustrates the topics with creative designer like Robert Bolesta who created this fantastic font called "value pack" made of fresh meat. For sure it would be a hit on any supermarket shelf ! How fresh is your fish... all over the world ! 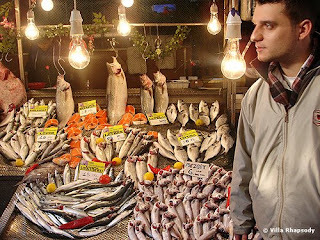 In France, a fresh fish is judged on his eyes, crystal clear, shining and lively. That's the criteria (most) french consumer use to select their fish at the market. 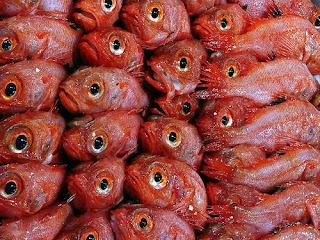 In Turkey, the gills need to be showed with strong red color to clients in the street markets as a proof of freshness. In Japan, it's important for the customer to be sure that no one ever touched the fish with its hands, so you can have a look inside the laboratories to check that. 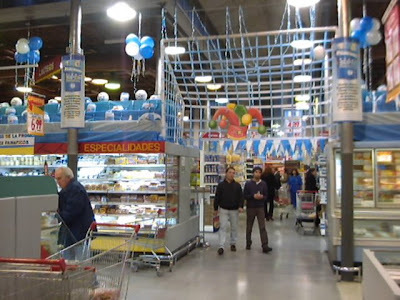 In Colombia, before the arrival of Carrefour (1998), it was difficult to find fresh fish in the supermarkets. You barely could only buy frozen fish. 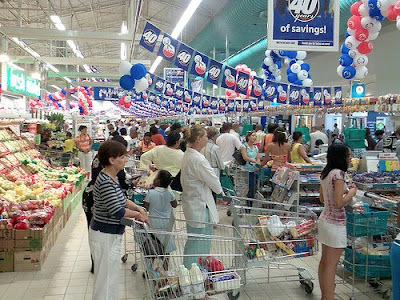 I remembered have seen entire family coming at the inaugural of Carrefour in Girardot to see for the first time fresh fish. In Spain, Fish is the key factor for consumers to judge the quality of the store, in the same way as French give importance of bread quality or Argentinian to meat. 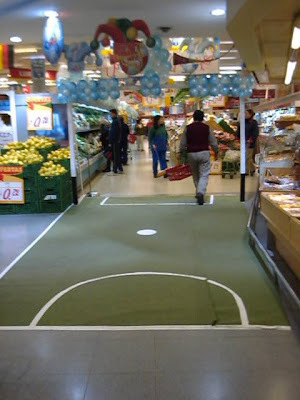 Shopping in a total experience, from the entrance to the exit of the store. Disney since the early years understood this basic law and in his resort parks is extremely attached to details (retail is detail, no ?). 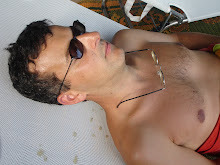 Walt Disney was a fabulous utopian and he defined his resort as a small "perfect" society. 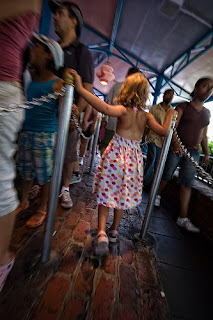 With around 40 attractions and so many visitors, lines are compulsory. 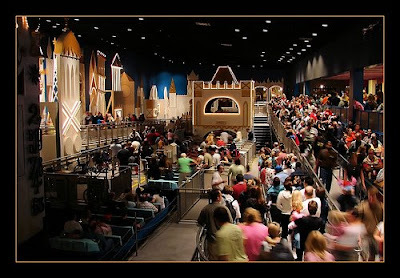 The magic of Disney is to have implemented a smart management of the lines to avoid most of the drawbacks and keep intact the fabulous souvenir for the customer. - Keep moving : the lines are always dynamic, you don't wait staying on the same spot but it's a continuous walk. No time to despair, just get the impression that it's useful, a perfect illusion of progress ! - The basic principle of first come, first served is strictly observed. The "fastrack" option allows you to cut some queues but always in a democratic way. Nobody can "keep you the place" which has disastrous consequences for the others (have you ever noticed the impact on others of someone with more than 10 products in the fast check out at the supermarket ?). - You never see the final destination from the beginning. Usually, you don't see the people waiting at the entrance. The real queue begins after having walked some meters... unless it's the end of the day where Disney cast member let see the people wait at the entrance to discourage others to get here. - There's always something to look at. The mazes are constructed like a snake in a sense that you regularly get contact with the same people. Visitors become part of the attraction. Also, some visual distraction are disseminated with great sense of details. You get some (very) short views about the coming attraction that makes the suspense growing ! 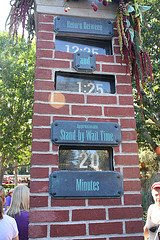 - At the entrance of the attraction, you get information about the average waiting time. Have you ever noticed that this information is a bit overestimated ? Other way to give a good impression (a bargain time !). That's a universal problem for every customer : after having spend much time (too much time) in the store, looking for all the needed (and unneeded) products, it's now time to pay. And the question is : which check out will be the fastest ? Economists have tried to analyze the situation with the Random Walk theory, a mathematical formalisation of random elements. Complicated studies for a simple result : there is no answer ! Well, if people had a way to find the fastest line, most of the customers would join it and it would not be the fastest line any longer... This is the same principle John Maynard Keynes refered to when he described how does the stock market works in his General Theory of Employment, interest and money . 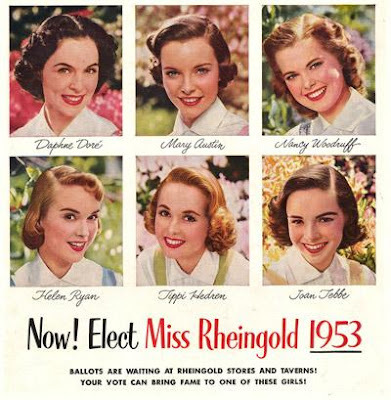 Keynes compared the stock market to a beauty contest where people were invited to choose the nicest girl (that kind of contest were very popular at that time). The winner is the one who choses the girl closest to the general opinion. As Keynes writes : "it is not a case of choosing those which, to the best of one's judgement, are really the prettiest, nor even those which average opinion genuinely thinks the prettiest. We have reached the 3rd degree where we devote ou intelligences to anticipating what average opinion expects the average opinion to be. And there are some, I believe, who practice the 4th, 5th and higher degrees." From my own experience, when all lines are very busy, you may find a better way at the extremities, especially the closest line from the entrance, as people tend to finish their shopping circuit at the other side of the store. But that's a very empiric method. Other tip from personal experience: pretty cashier girl usually get more cash at the end of the day (attracting more men clients ?). So choose the not so attractive ones for a fast check out ! (Sorry, no photos for that point...). so much wasted food ! 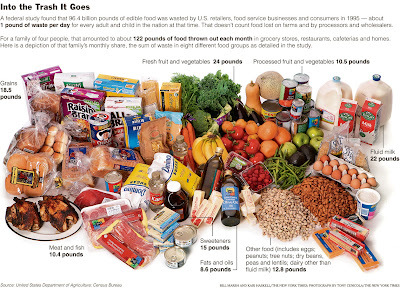 Recovering just 5% of this amount could feed 4 million people everyday calculated the Department of Agriculture. Will the rising prices of food will be a sufficient incentive to care more ? Interested in the topic of wasted food ? Have a look at the blog wastedfood.com by Jonathan Bloom. 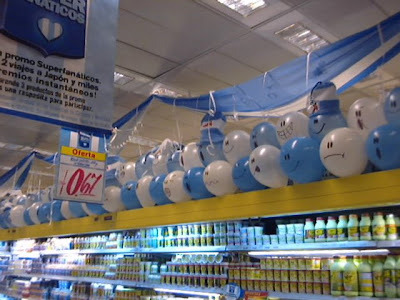 In 2002, just after the peso crisis, we had to give back confidence to customers and employees. 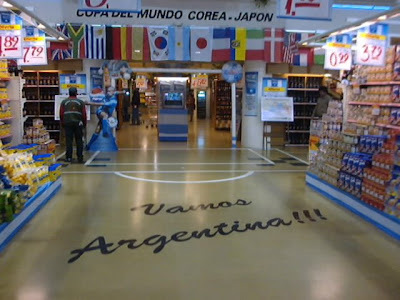 I got this idea to organize a contest between stores to emulate them : your store as the best supporter of the National Team. Results were impressive where all employees came with the "albiceste" shirt (official shirt) and decorating the supermarkets as land art performance. Here are some pictures of the stores located through the Santa Fe avenue (Vidt, Palermo, Berruti). Rungis, south of Paris, is probably one of the biggest fresh market in the world. From 3 am, everyday, more than 1200 wholesalers (more than 12 000 people) propose their products to all professionals of the Paris area. It represents a total turnover of 7,6 MM€. I was part of the 6,6 millons of annual visitors and shot some pictures from the fruit and vegetable market and flower market.